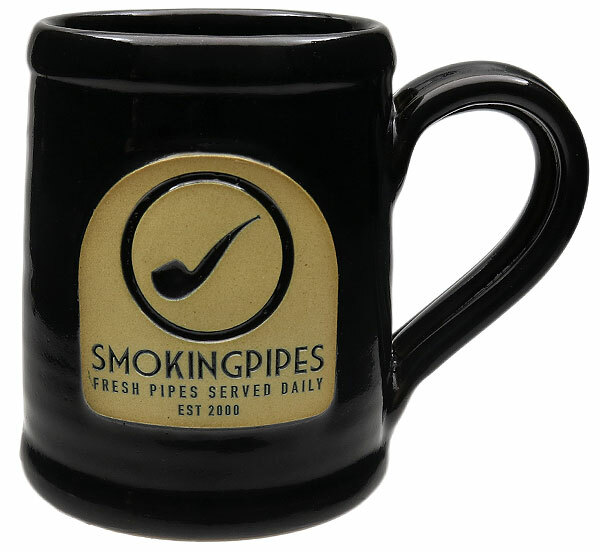 Pipes and coffee go together like jazz and martinis, so why not jazz up your morning routine with this handsome, handmade stoneware Smokingpipes.com mug from Deneen Pottery? Available in 16 oz and 12 oz (seen here), each piece is seriously durable and safe for the microwave, dishwasher, oven and freezer. All stoneware is lead-free and food safe. Everything about this coffee cup is great. I'll buy another in a heartbeat if mine breaks. I love this cup! If your pipes are handmade why shouldn't your coffee cup be as well. This is a very well made nicely crafted mug. think I'm going to buy a few more. I really like this mug. Well made, heavy duty and sturdy. Well worth the price.